Storage space is expensive. That’s why taller warehouses with accordingly high shelving are on the increase. 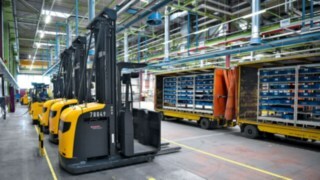 However, these also entail risks: The masts of reach trucks frequently used in these situations start to oscillate when loaded trucks are used to access greater heights. 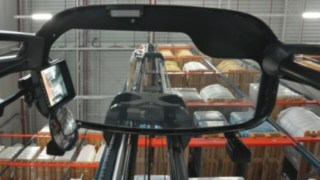 This makes collisions with shelving and damage to loads and equipment hard to avoid. The operator therefore has to wait until the mast stops wobbling. This costs valuable time. 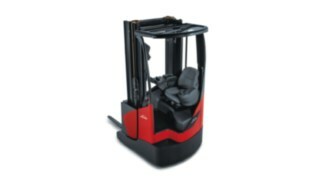 The innovative driver assistance system dynamic mast control (DMC) from Linde Material Handling solves this problem: An electric, highly responsive reach system compensates for mast movements with specific counter-movements. 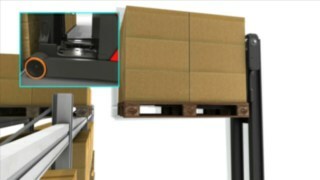 The system ensures that handling processes involving large lift heights are significantly quicker and safer. 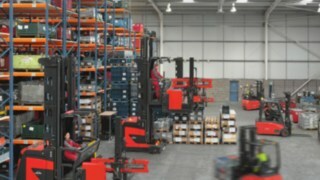 Around 50 per cent of reach trucks work at heights of over 8 metres; even 13 metres is not unknown. 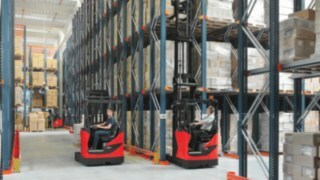 Linde’s dynamic mast control offers greater productivity and safety. 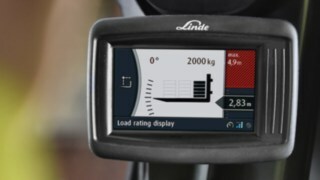 Faster, safer, smoother; Linde’s ingenious control and drive technology makes loading processes at height much easier. The operator does not have to actively intervene. Instead, the components work entirely in the background. Sensors at the top of the mast detect any oscillation. At the same time, measurement units determine the current lift height and the load weight. A central controller unit processes all the data and sends control signals to the electric reach drive. The electric reach drive balances out the dynamic pendulum movements and any bend in the mast with specific counter-movements. 1. Safer: Every load movement is smooth and stable. This increases the safety of the operator and the load. 2. Faster: The operator doesn't have to wait for the mast to stop wobbling. This means they can deposit the load on the shelving more quickly and remove it just as fast. 3. 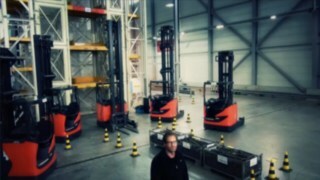 Smoother: When their masts oscillate, forklift trucks often collide with shelving or pallets. DMC minimises this risk; the load is placed precisely where it should be. Like the company's founders in the past, the engineers and technicians of Linde Material Handling are developing efficient intralogistics solutions with ingenuity. 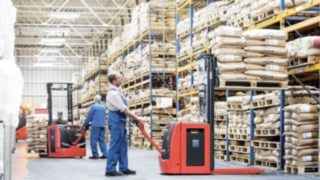 Boasting numerous different variants and a wide range of standard and special equipment, Linde R10 - R25 reach trucks ensure high productivity in all warehouse environments. 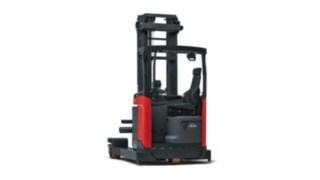 The compact Linde Material Handling R14 – 17X reach trucks offer short reach travel distances, higher residual load capacities and a better view. 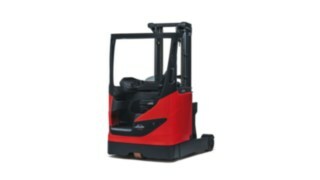 Linde R20 – R25 F four-way reach trucks transport bulky loads in narrow aisles – forwards, backwards, left and right. 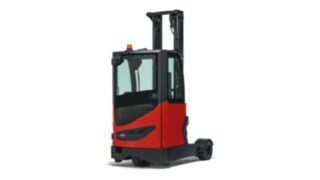 Linde R10 - R16 B-series reach trucks offer high performance, comfort and safety standards for handling light and medium loads. 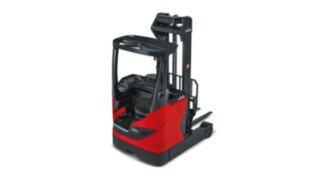 Linde Material Handling R14 – R20 G reach trucks are ideal for both indoor and outdoor use. 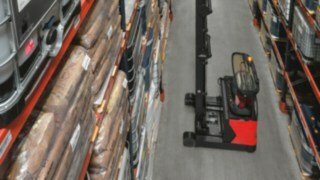 Load handling in warehouses requires numerous movements and manoeuvring, often in confined spaces and at height. 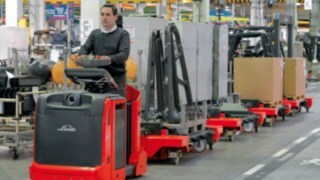 Linde reach trucks are tailor-made for these conditions. In times of increasingly individualised customer requirements, intralogistics must also gradually adapt to the changed production conditions. How this can be achieved by a global industrial company is shown by the example of Heidelberger Druckmaschinen AG (Heidelberg) in Wiesloch/Walldorf.